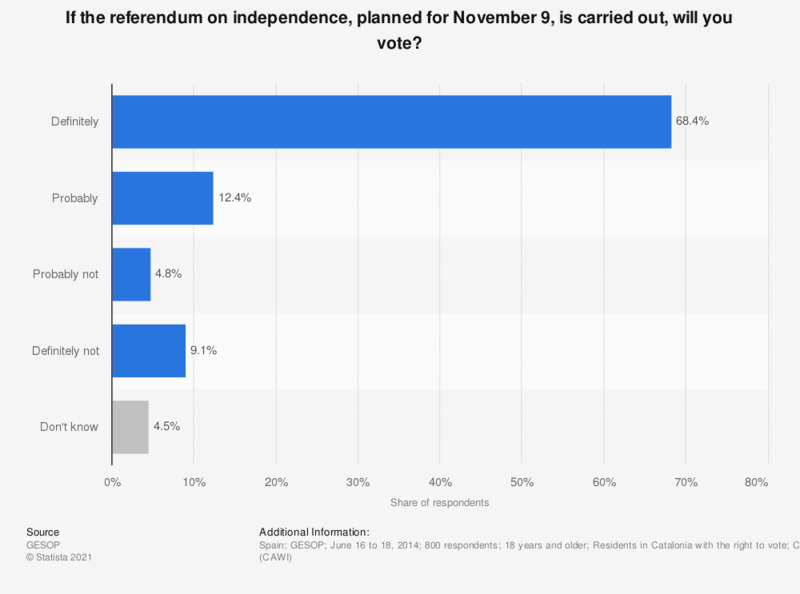 This statistic shows the percentage of people planning to turnout to vote in the Catalan referendum on independence planned to take place on November 9, according to a survey carried out in June 2014. A clear majority plans to go and vote on November 9 if the referendum goes ahead, although about 15 percent said that they would definitely or probably not vote. Surveys of respondents up to 44 years were carried out via computer-assisted web interviews. Those aged 45 or over were surveyed through computer-assisted telephone interviews.